Today, 8 June is World Oceans Day. This year, the focus is on preventing plastic pollution and encouraging solutions for a healthy ocean. Youth must play their role to achieve the benefits of blue economy, or the use of the sea and its resources for sustainable economic development. UN Volunteer Sarah Nyawira is working for clean oceans in her role as UN Volunteer Project Management, Monitoring and Evaluation Officer with UN Environment (UNEP) in Nairobi. The Nairobi Convention provides a regional legal framework and coordinates the efforts of UN Member States to strengthen their capacity to protect, manage and develop their coastal and marine environment. Here, Sarah explains the importance of her work and why she is so passionate about healthy oceans. 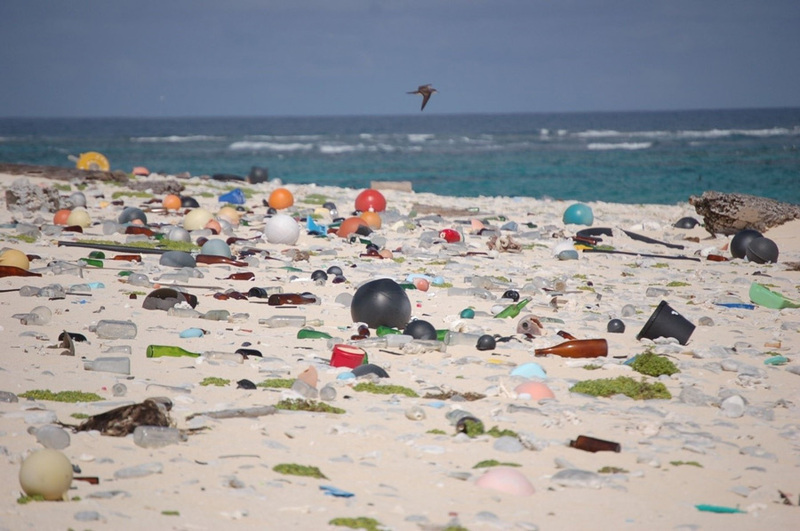 Plastic pollution is becoming a major environmental hazard for beaches and oceans. Oceans are the source of livelihood for many people around the world: 90 per cent of trade, travel and tourism revolve around the ocean. We are often visiting the beach during our vacations and some of the activities we enjoy include swimming, surfing, sea food, diving, sailing and fishing, among others, in an environment with endless mesmerizing sightseeing opportunities. With 38 coastal and island states, 13 million km2 of collective exclusive economic zones and a coastline of over 47,000 km, Africa is accelerating its structural transformation from the abundance of maritime resources to reduce poverty; create employment, growth and exports; and strengthen food and energy security. Humans benefit immensely from oceans. In Africa, an estimated 60 million people live within 100km of a coral reef and benefit from the economic, social and cultural services it provides. Fish provide food security for about over 400 million people and have employed more than 12 million people. Oceans have continuously provided the raw materials or foundation for economic activities such as tourism, ports and shipping, fisheries and processing. These activities underpin local economies and businesses; sustaining the livelihoods and well-being of human population. The western Indian Ocean region is valued at US $333.8 billion with an estimated income of US $20.8 billion. Tourism is another major opportunity: 65 per cent of tourists visit the coastal regions for several attractions; coastal tourism in the western Indian ocean generates US$10.4 billion annually, accounting for 45 per cent economic output of major coastal cities in the region. These economic gains are under threat from marine pollution. 80 percent of marine litter and plastics in the ocean originate from human activities on land including ports, industrial zones, urban and tourism areas, transport and informal settlements. Beach recreational activities inject 66 per cent plastics onto beach and into the ocean; and shipping activities dump 14 per cent. Marine litter and plastics pollution in tandem with rapid increases in population and consumption levels – coupled with high reliance on coastal and marine resources for sustenance and livelihoods – have caused irreversible damage and the collapse of coastal and marine ecosystems. Kenya and Tanzania have lost about 18 percent of their mangroves, Mozambique has lost 27 per cent, and coral reefs in the Indian Ocean have declined by 15 per cent. Fish catches have dropped by one-third since 2007, a decrease mainly in small pelagics such as anchovy and sardines. Scientific assessments estimate that there are over 150 million tonnes of plastics in the ocean today. 40 percent of marine birds are dying of starvation when their stomachs are full of plastic bits and pieces. In one case, 275 pieces of plastics were found in a 90-day old chick, which is equivalent to 15 per cent of the bird’s body mass. When a turtle or any other, marine animal ingests plastics waste, it bloats its belly and it is no longer able to control its buoyancy and floats on the sea surface which it detrimental to its life. Fishermen catching nets of plastics instead of fish has massive implications on millions of people. Studies across the world oceans indicate that half of the fish caught in the ocean have ingested plastics and this is ending up in human digestive system bringing several health hazards. This adds a burden to developing economies. For example, Kenya is losing 90 billion USD annually in the ocean economy and fails to generate thousands of jobs. However, measures have been put into place to fight the plastic pollution of the oceans. Africa has recognized the economic potential that can be harnessed from the abundance of maritime resources by sustaining healthy ecosystems to alleviate poverty. In 2014, the African Union endorsed the 2050 Africa Integrated Maritime Strategy, a long-term strategic vision for the development of Africa’s blue economy. Buttressing this initiative is Agenda 2063, that envisages the African blue economy to be a "major contributor to continental transformation and growth". UN Economic Commission for Africa describes Africa's oceans, lakes and rivers as the "new frontier of the African renaissance". Furthermore, the Agenda 2030 for sustainable development adopted by UN in 2015 drives the momentum to develop Africa’s blue economy through Goal 14 on conservation and sustainable use of the oceans, seas and marine resources. To significantly reduce marine pollution of all kinds, particularly from land-based activities, including marine debris and nutrient pollution by 2025, the governments must implement governance frameworks and install innovative mechanisms for constructing a blue economy. The UN Environment Programme Regional Seas Programme plays a key role for collaborative approaches in the transboundary emerging issues. We must keep the momentum and to do so, volunteers are crucial, making essential contributions in the progress, cohesion and resilience of communities and nations. Volunteers can participate in their societies making them feel that they matter to others and, also use their skills to rise issues affecting the local communities to the decision makers. In my service, daily I interact with volunteers working to eliminate poverty, to improve basic health and education, to make available safe water supply and adequate sanitation, to tackle environmental issues and climate change, to reduce the risk of disasters, and to combat social exclusion and violent conflict. This is motivating! I hope this article continues the discussion on how volunteers can create better reverberating impacts as well as how they can trigger innovative solutions to some of the issues. I also hope that institutions, think tanks, international community continue to support volunteers and task them by engaging their time, skills and knowledge to bring transformational changes in our communities ensure inclusive progress. I call upon governments, particularly in Africa, to support volunteerism in addressing the dearth of capacities in achieving Agenda 2030.